The Prosperity Agenda is on a mission to stop the cycle of intergenerational poverty. The team defined their design question "how might we improve the financial wellness of graduates of career development programs?" 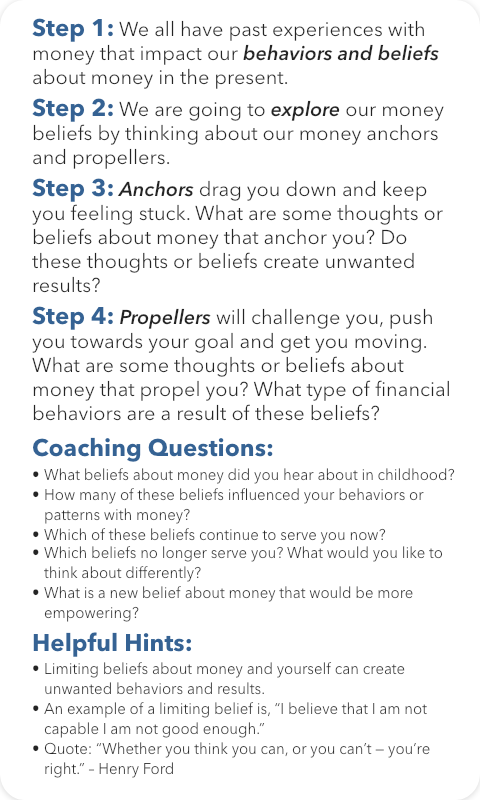 and through collaborative design sessions they landed on a concept design called Money Mindset Cards. They learned that financial capability integration is not about delivering more information more frequently, but about changing mindsets when it comes to the culture of money by talking about it early and often. 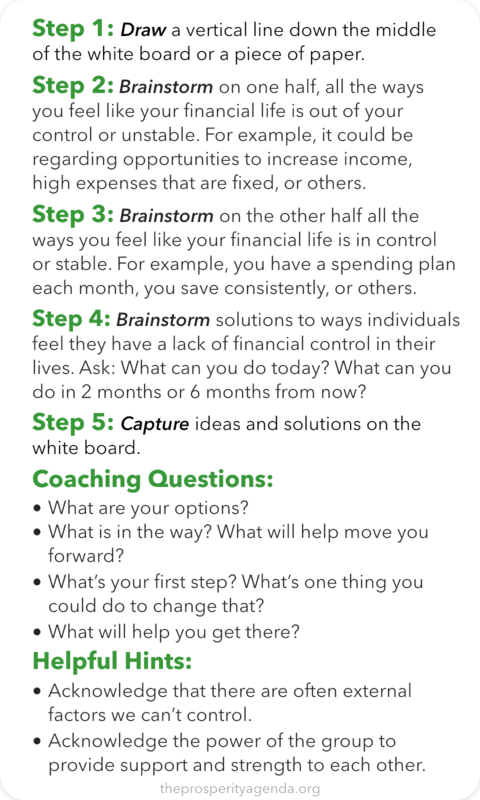 Through dialog generated by activity cards they inspire clearer goals and meaning when it comes to money, build healthy identities with financial wellness, and create intention for the financial future they want. The Prosperity Agenda team had created one prototype and the text for the remaining 5 card activities. They asked me to design the color, typography, size, layout, and imagery for 6 cards in 3 different categories of activity. I started by asking questions about who will use these and how - how will they be stored and organized? Is the category coding important for finding the right card or is it meant to be organic? Are they to be used in a specific order? If someone fans them out like a deck of cards in their hand should they be able to know the category by seeing only the top portion of each card? What's the best case scenario for how someone uses these and how would you know that it went well? After building understanding around the problem these cards are meant to solve and the experience outcomes the team was looking for, I got to work on the visual design. I delivered the color, typography, size, layout, and image design for 6 cards in 3 different categories.